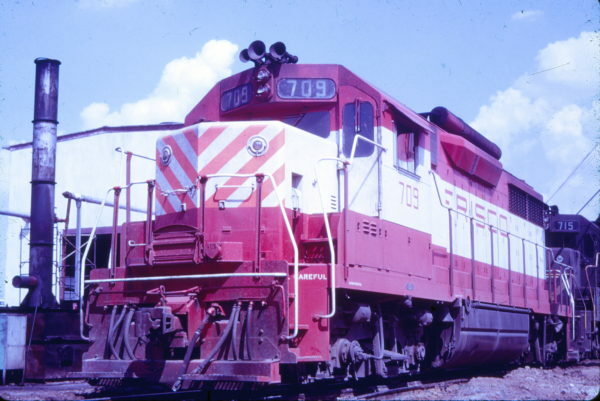 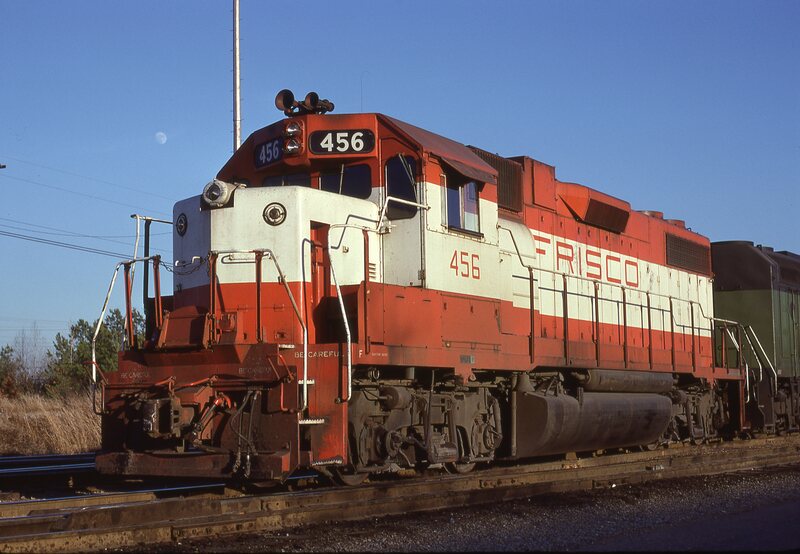 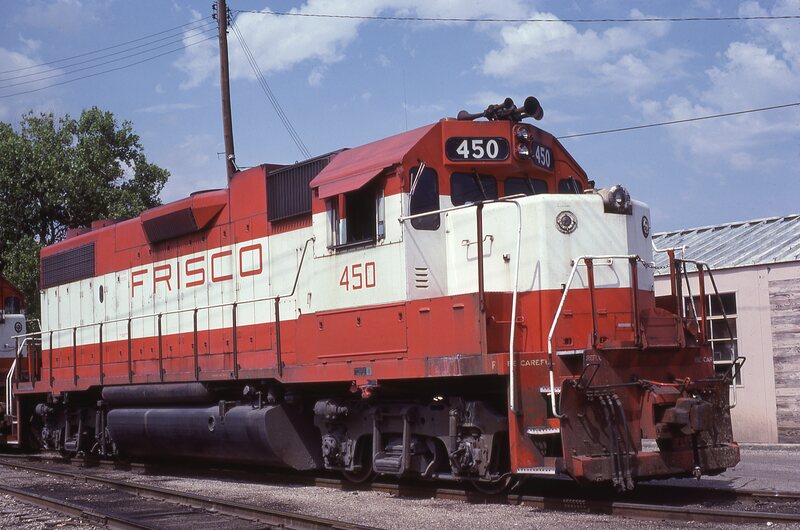 GP38-2 450 at Fort Worth, Texas in May 18, 1980 (Bill Phillips). 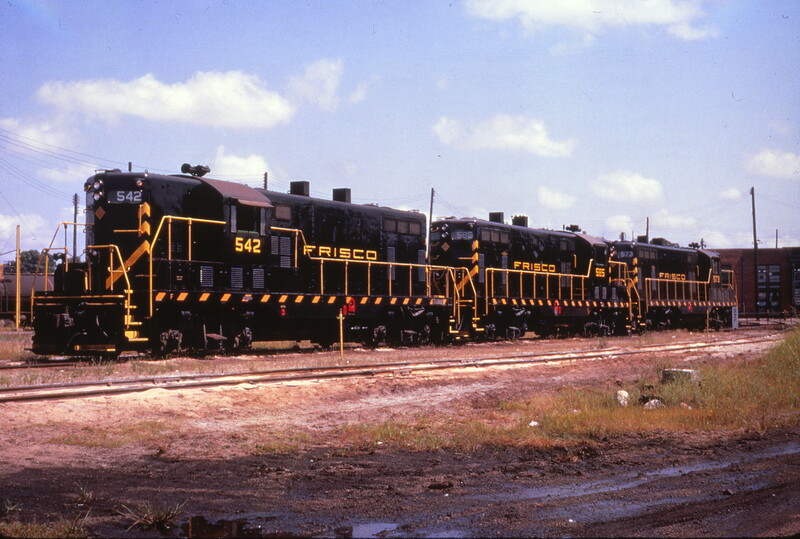 GP7s 542, 585 and 573 at the Fort Smith, Arkansas engine terminal in September 1961 (Al Chione). 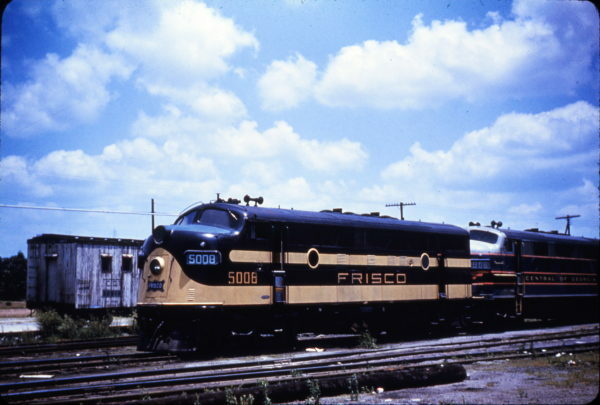 F3A 5008 at East Point, Georgia in June 1959. 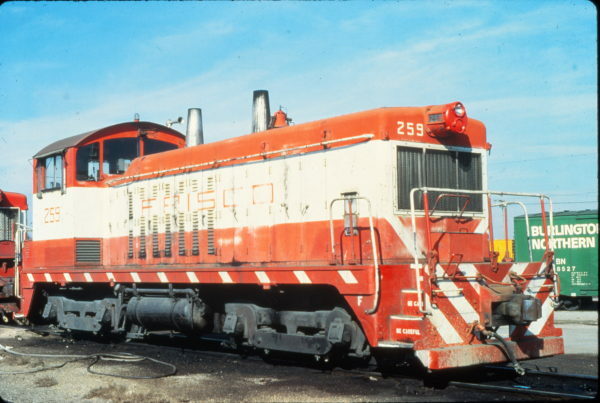 GP38-2 456 at Memphis, Tennessee in February 1981. GP7 528 (location unknown) in August 1969. 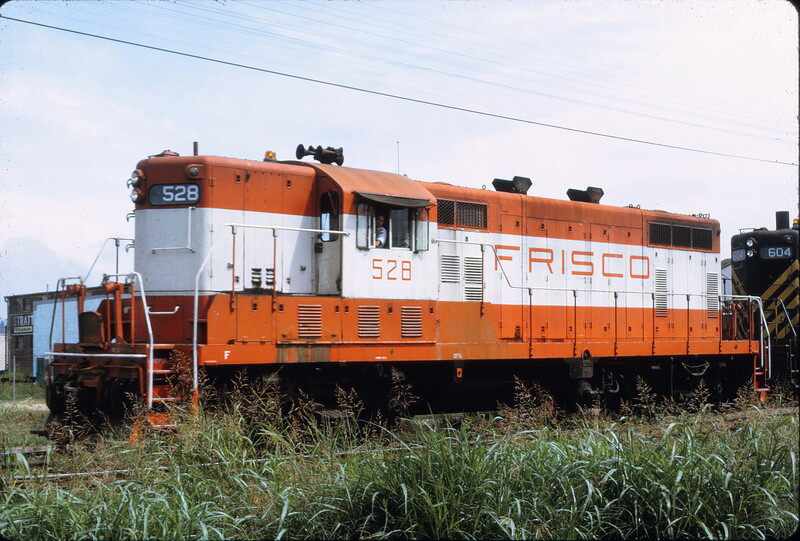 NW2 256 at Springfield, Missouri on August 30, 1980 (Chuck Frey). 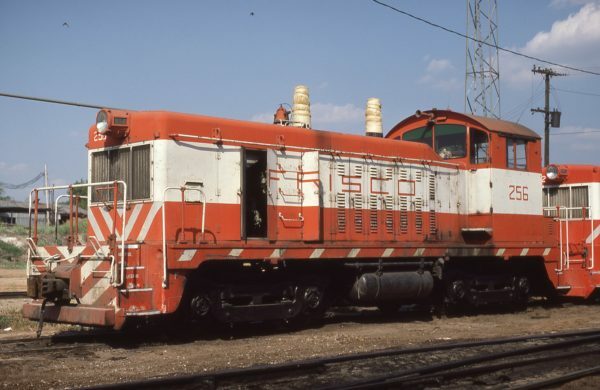 GP35 709 (date and location unknown) (Mac Owen – Blackhawk Films). 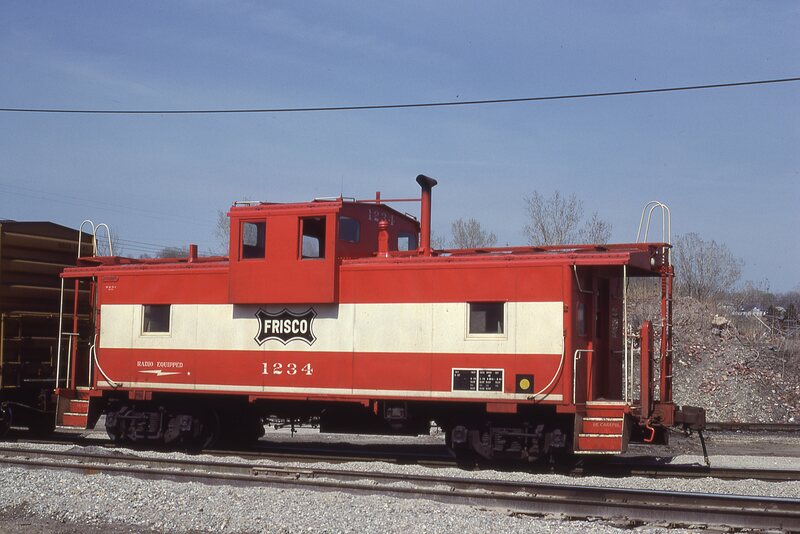 NW2 259 at Memphis, Tennessee in January 1981 (Vernon Ryder). Caboose 1234 at Kansas City, Kansas on April 19, 1980 (J.C. Benson). 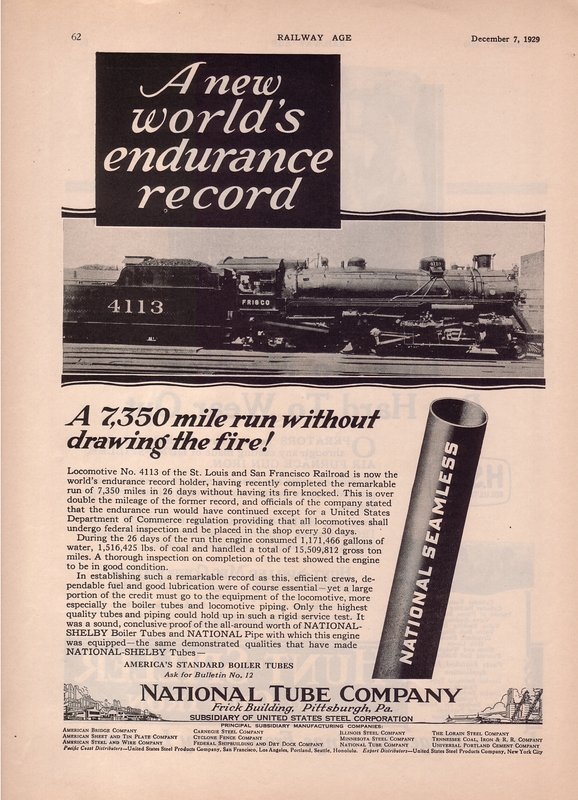 From Railway Age – December 7, 1929.